The government expects to allocate Rs 6100 million to purchase paddy of the Maha cultivation season, says the Minister of Agriculture P. Harrison. The Minister stated this during a discussion held at the Ministry of Agriculture this evening (23). 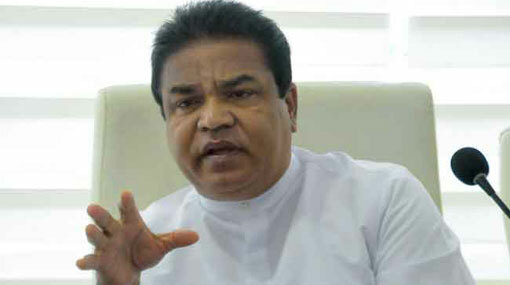 As harvesting paddy has already commenced in Anuradhapura, Ampara and Batticaloa districts, Minister Harrison has instructed the relevant officials to take necessary measures for proper purchase of paddy from the farmers. Accordingly, the government intends to purchase at nearly 2000kg of paddy from each farmer. The government has decided to purchase a kilo of ‘Nadu’ rice and ‘Samba’ rice for Rs 38 and Rs 41, respectively. The Minister has also given instruction for proper storage of the paddy purchased from the farmers. Furthermore, paddy drying machines will be installed through Govi Jana Seva officers across the country, Minister Harrison added.